Finding the right venue for your wedding can take a lot of searching. Here are some tips that'll help you pick the best wedding spot for your perfect day. Saying "Yes!" is one of the most exciting times in your life. Since you were little, you've dreamed of your special day. You drew pictures of your dress and even picked out your wedding party. As you grew older, your taste changes and reality set in. You realized that planning a wedding isn't as easy as you thought it'd be when you were eight. Where to start? The venue is the best detail to take care of first. So how do you find the perfect wedding spot for your perfect day? We have five tips to make sure you're choosing the right one for you. Out of the 2 million weddings every year, 25% of them are destination weddings. The number of weddings in religious institutions has dropped but more than half of all weddings are now held at outdoor venues. So let your imagination run wild! 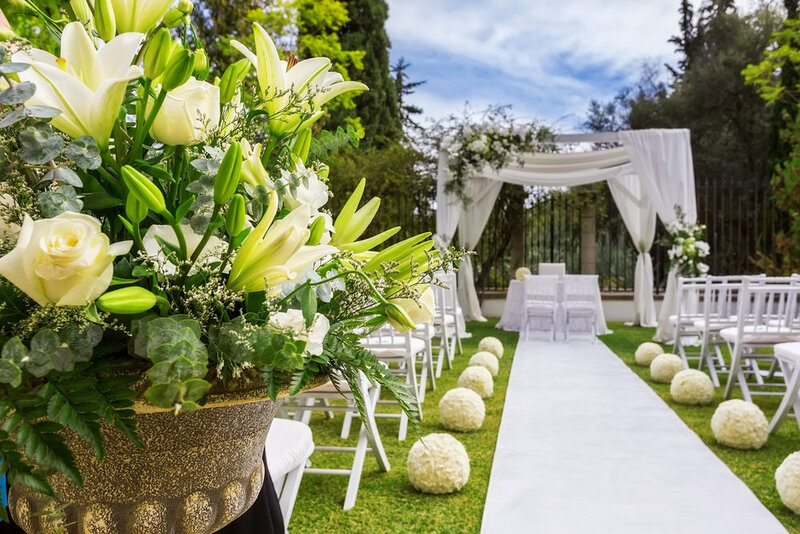 Knowing how to choose a wedding venue will save you hassles and headaches in down the line. Keep the following tips in mind as you start your search for your wedding location. There are some things a couple can live without, and others they can't. Get a list of what's important to you and go over it carefully, discussing every option. Do you need 50 dozen roses dyed gold with glitter? Can you live without a cocktail hour? These are questions you need to ask yourself before you start looking at venues. Find wedding venues that allow you to get married and hold your reception at the same property. Country clubs are an all-inclusive option for weddings. They have separate facilities for the ceremony and reception. Their menu is usually top-notch and expansive. Some even have on-premise wedding coordinators to guide you through the process. Make sure you ask about their vendor policies. Some country clubs only allow a select group of vendors while others are more flexible. Keep in mind that you may have family and friends attending from out of town. It's your day, but if your venue isn't close to hotels or it's difficult to travel to, you may have a much smaller guest list than you planned on. When you're looking at venues (and vendors! ), check every review you can. Pay close attention to how glitches got handled because there's bound to be a couple. How was the parking situation? Were there issues with the staff? Did they communicate efficiently? Prepare yourself with as much info and as many questions as possible before you meet with the venue director. If something seems off during your venue visit, question it immediately. It may be nervous jitters or your instincts trying to tell you something. If you can't shake the feeling, it's better to back out before you pay deposits or it's too late to back out. When it comes to finding the perfect wedding spot, the most important thing is that you feel comfortable and confident with your choice. Green Valley Country Club is the perfect backdrop for your special day. Surrounded by rolling hills and a championship golf course, you have an open canvas to hold your event. We offer a diverse membership program, that allows you and your guests to use our pristine facilities and amenities. Contact us today to learn more about Green Vallery Country Club or if you have any questions. The Green Valley Country Club Blog features articles on golf, membership, fitness, wellness, dining, special events, wedding, swimming, bocce ball, and other amenities available at the GVCC facility located in Fairfield, California. Tucked in one of California’s most treasured valleys, the sprawling grounds and exquisite architecture usher you into an oasis of tradition and elegance, offering breathtaking views and awe-inspiring landscapes. Set on 148 acres, Green Valley Country Club boasts a Championship golf course and is the only private country club in Solano County. The club features a pre-Civil War grand Mansion that has been transformed into our clubhouse, with views of the rolling hills and the spectacular facilities creating a relaxing setting for members and guests. If you are looking for the luxury of private golf, tennis, swimming, fitness or wellness, fine dining, or a memorable setting for your wedding or banquet, Green Valley Country Club is for you.